Summertime is in full swing for many of us with school being out. Most parents have registered the kids for summer camps/activities, made vacation plans, or are simply doing the local staycation. Whatever your plans are, the kids will be ready for some fun! Something we all have in common as parents is we want our families to be happy and healthy. Sometimes it's a bit of a challenge to get the kids on board for the healthy part. 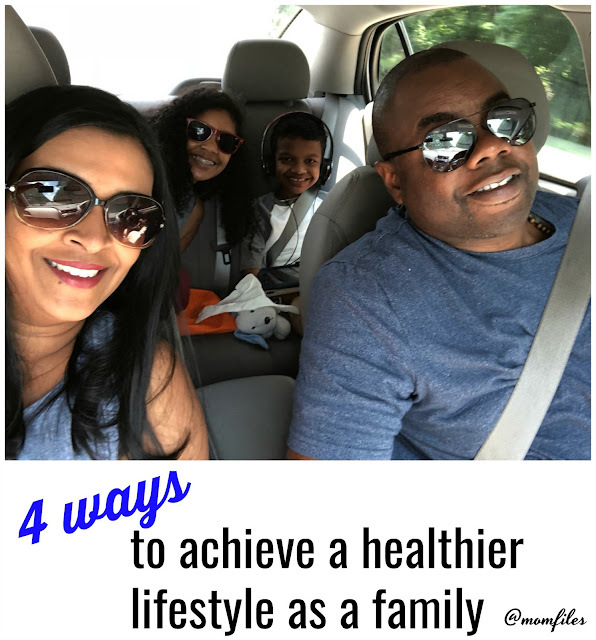 Today we will share some tips on how you can achieve a healthier lifestyle together as a family. Whether you are at the beach, or the backyard, there are many opportunities to get active. Try challenging the kids to a race. It's a great way to get your heart pumping, and your entire body moving. Make a game out of collecting rocks or shells. Before you know it, you all would have walked more than you realized. Make it a priority each month to hold a family meeting with everyone present. It doesn't have to be super long or in a formal setting. Discuss your financial and personal goals, as well your health goals. Have each family member document those goals. Charts are a great idea for younger children. Make those health goals a top priority! Instead of listening to the kids whine about dinner, include them! Have each person choose a theme for a particular day of the week, and go from there. Whether it's Meatless Monday or Taco Tuesday, everyone can state their likes or dislikes and agree on the menu collectively. Kids tend to be more interested in food when they were involved in picking out or planning the meal. 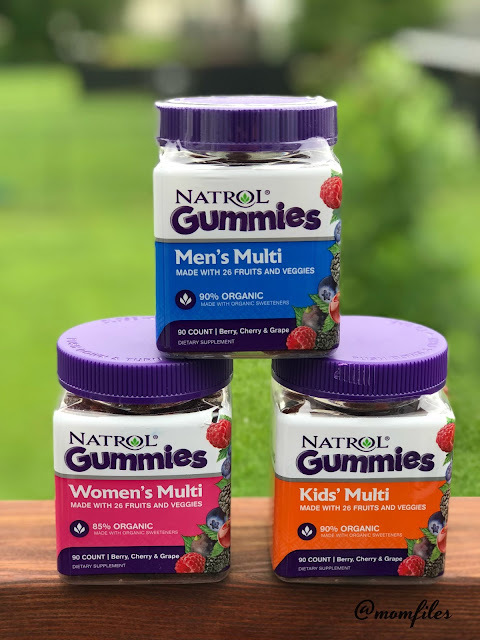 Make plans to hold each other accountable for drinking a certain amount of water each day, exercising, and taking daily multi-vitamins like Natrol Gummies. As a matter of fact, Natrol Multi Gummies are made with 26 fruits and veggies! Plus, they’re made with organic ingredients, are non-GMO, gelatin-free and vegetarian. 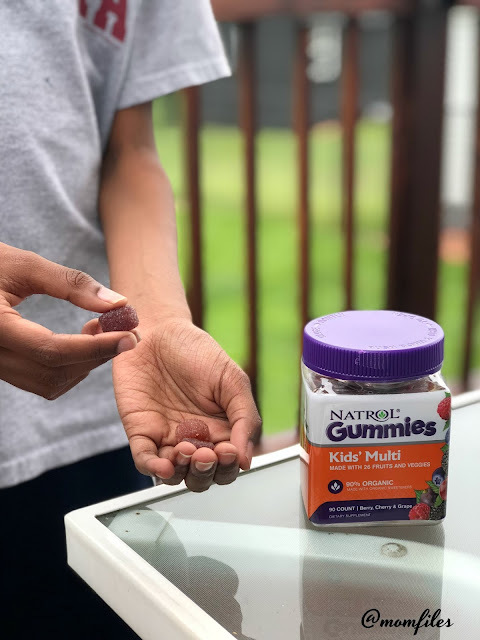 *As parents, we are pleased that Natrol Gummies are not only good for you, but they also taste great! They aren't super chewy so they don't tend to stick to your teeth. There is a formula for everyone in the family with the Women's Multi, Men's Multi, and Kid's Multi. Natrol gummies are a great way to get those extra daily vitamins and minerals you might be lacking from you diet. If you're shopping and stop by the supplement aisle, just look for the purple top. We hope you and your family have a safe, happy, and healthy summer!